That means that we are including the best publications for the lowest price all packaged together complete with a weekly schedule to assist you. This package is considered an "Economy Package" because, simply put... it isn't as pricey because we put the more expensive texts into our Standard and Deluxe, more expensive packages. -MATHEMATICS is always going to be part of every package. This course doesn't include a hardcover, super fancy, mathematics text. 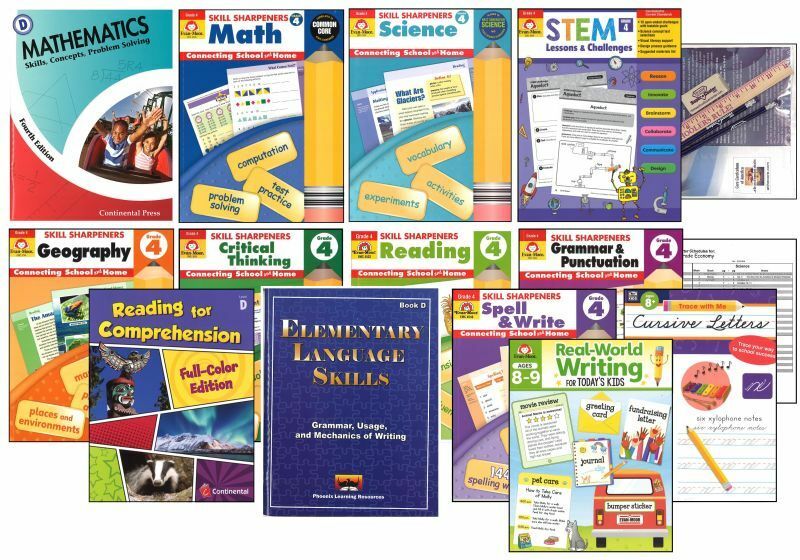 It does, however, include a selection of math programs for use throughout the year. -There's a course entitled: Math Concepts and Problem Solving. That should assist with learning math concepts and solving math problems... right? Right. 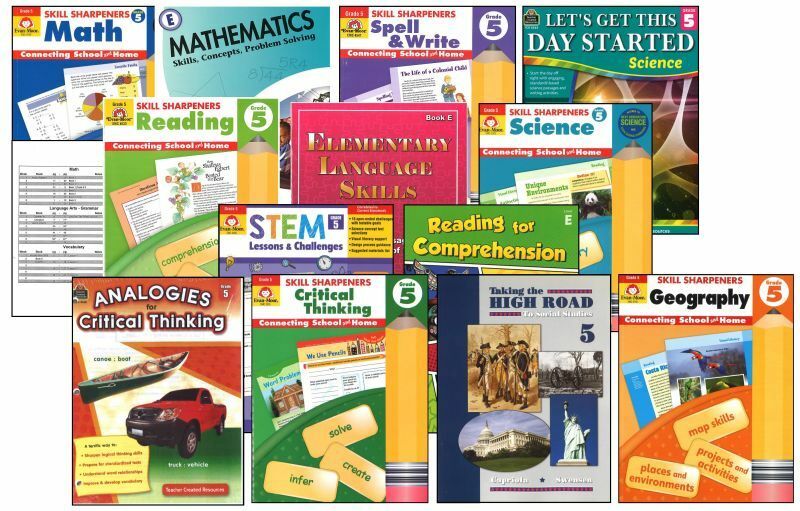 -And then there's a 3 WORKBOOK MATH SERIES - from NOVICE, INTERMEDIATE to ADVANCED - yes, ma`am - Helps assess your student's abilities with this series. 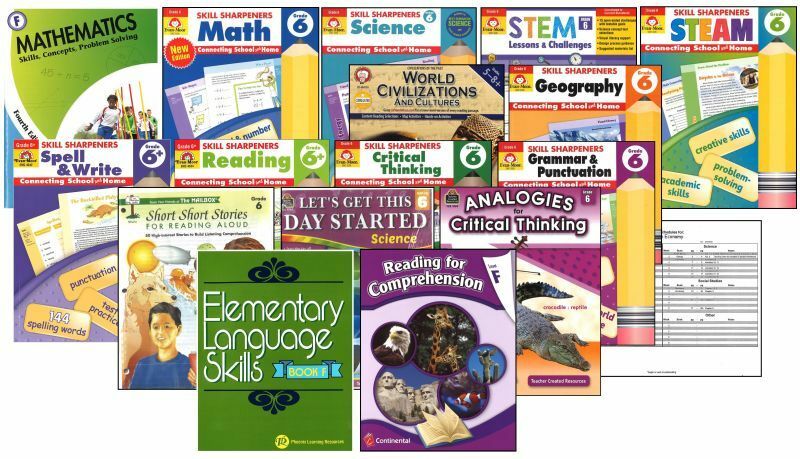 We're providing enough Math materials here to cover all the skills needed at this level according to the N.C.T.M. That's an acronym for a group of math teacher that tell us what should be taught at each grade level - The National Council of Teachers of Mathematics. 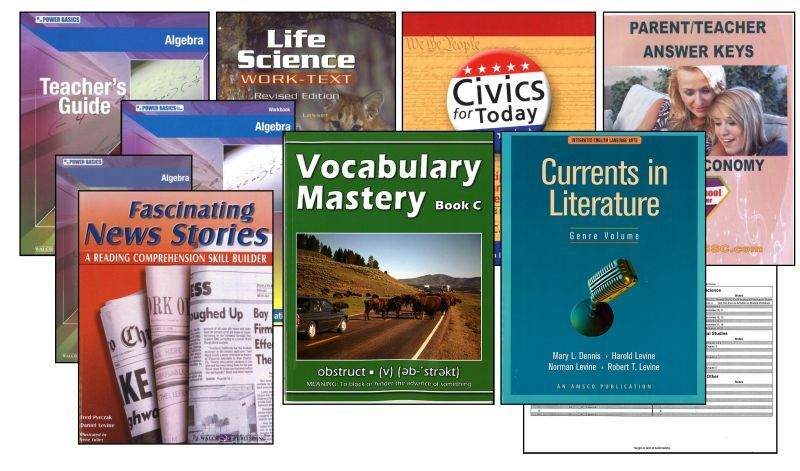 No skimping on educational content! -A cool little student workbook covering content in all the topics of SCIENCE from critters/animals to plants and life -- it's here for your student. This workbook is published by the famed Scholastic Company, so you can be assured that it covers all the basics and beyond. Experiments you can do at home? yes Ma`am! They're within this workbook too. Get your child involved... grab a chair - a book and a pencil clip, and a wagon or little car - you're going to teach him/her about force and wheels. Say what? Trust us :-) right there on page 28. You'll have as great a time as your child. 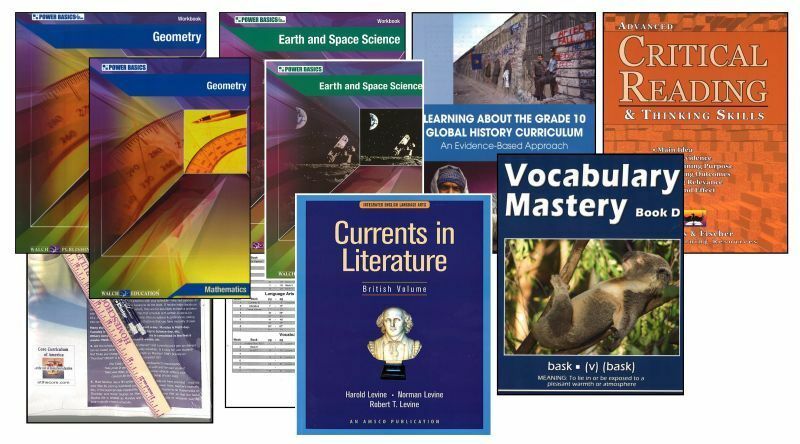 -Additionally we integrated a workbook to assist with his/her studies in SOCIAL STUDIES / HISTORY this year. A full-color workbook covering People and Places Nearby, also by Houghton Mifflin/Harcourt takes care of this standards requirement. 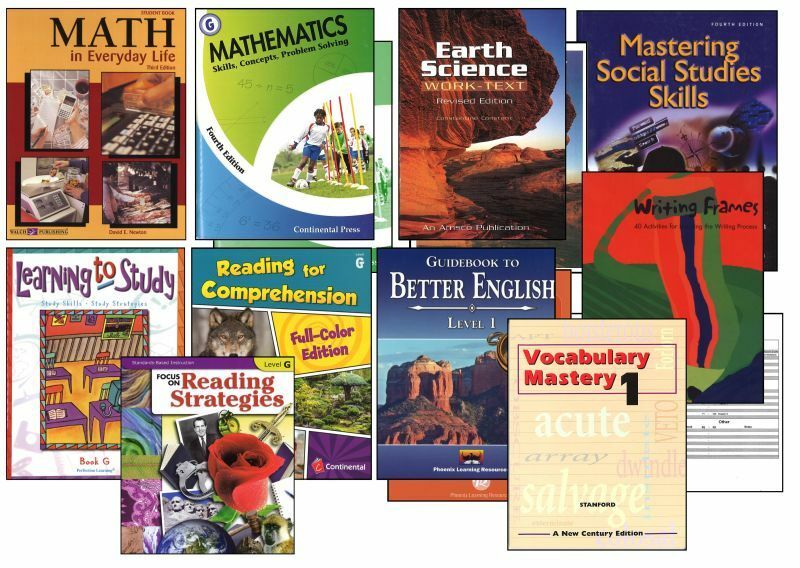 -LANGUAGE ARTS consists of a large selection of materials at this level because learning to read, reading fluency & comprehension, writing, as well as spelling, vocabulary and phonics... all of these topics are involved in the Arts of Language. Therefore, we included an ENGLISH GRAMMAR course in a 2-color workbook format concentrating your child's learning on the elementary skills of language. This workbook covers all forms of grade-level Grammar, Usage and Mechanics. -SPELLING & WRITING that phrase, (spelling & writing) no doubt, evokes a memory of your younger days as a grade school student. That's also the title - Spell & Write - the title of the full-color workbook your student will be utilizing to master the skills of Spelling and Writing at this level. This is a very well-accepted workbook series... by Evan Moor Publishing. -We're not done... no, no, no. We must have your child work on their PHONICS reading skills even further! So, we are packing more content into this package. A PHONICS workbook is also provided. Just phonics? No. Also, all the content including phonemics and how it relates to reading... it's all included in this fine, full-color workbook. -We now come to the final reading mastery course - TWO READING COURSES ARE INCLUDED. 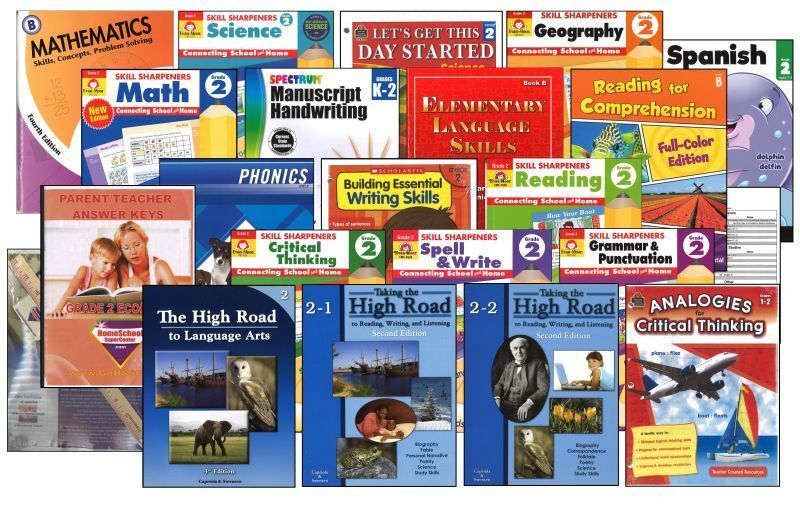 We have provided for your child, 2 reading comprehension sets -- 1st a Reading Comprehension Workbook and 2nd, yet another 3 Workbook Series to assist with comprehension by the same publisher as one of our math courses at this level, these sets are, as these titles suggest - to assist with reading and comprehension of subjects, main ideas, sequence and characters included in the stories. -HANDWRITING... a manuscript writing practice workbook is provided for your child. -AND as mentioned above - we include a Full-Year suggested schedule for the core courses! We wouldn't have it any other way. And neither would you.